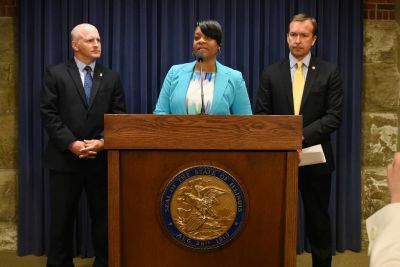 Senator Lightford is continuing to fight for human services in the 4th senate district and across the state as we try to find a responsible solution to the state's budget problems. She recently spoke on the importance of facilities such as the Way Back Inn and Grateful House Veteran Housing, which recently received a $10,000 grant from the Home Depot Foundation. These exemplary facilities offer help and hope to veterans and other people in need of dependence recovery in communities, such as Oak Park, Melrose Park, Maywood, Chicago and Forest Park. 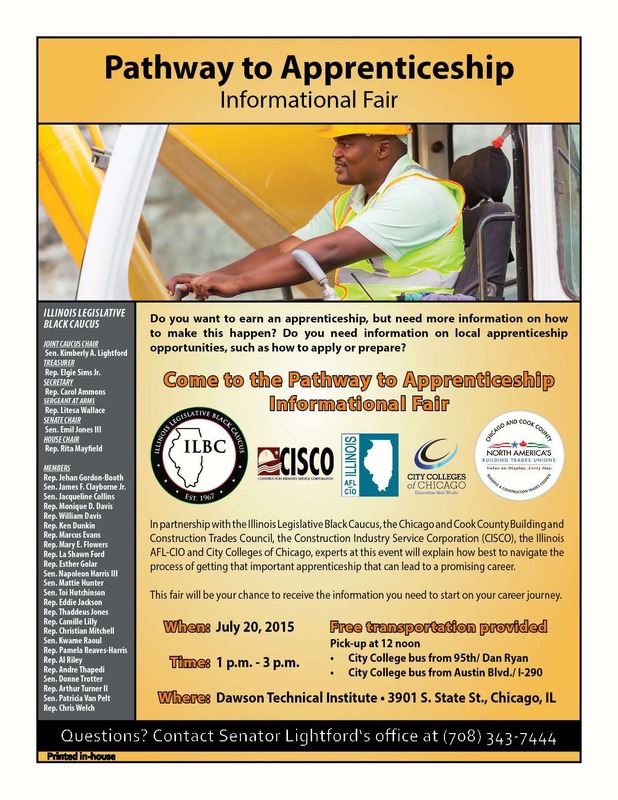 Senator Lightford and the Illinois Legislative Black Caucus are teaming up with other community and state-wide organizations to host a Pathway to Apprenticeship Informational Fair for anyone looking for information regarding apprenticeships! The event will take place July 20, 2015 from 1-3 p.m. Come out and get some great information from experts on how to navigate the process of finding a great career. 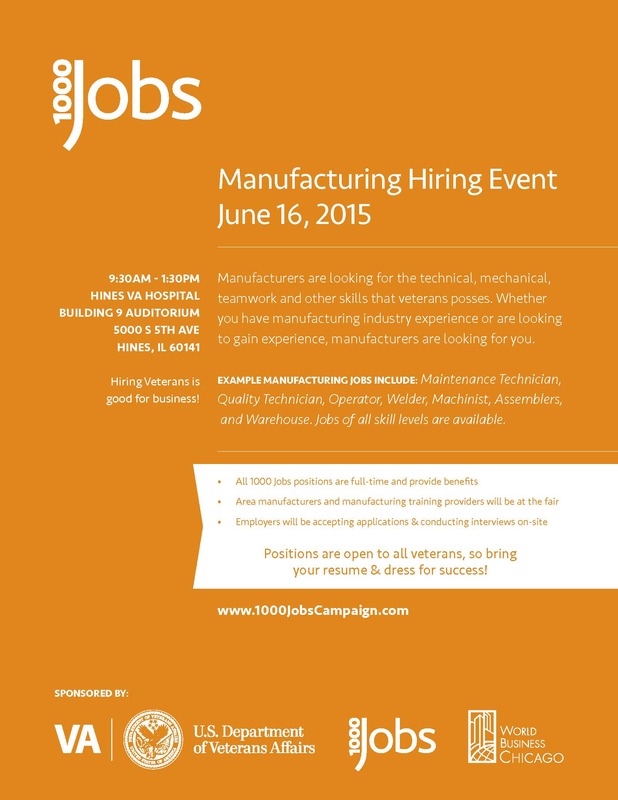 Senator Lightford would like you to know that Hines VA Hospital is hosting a manufacturing hiring event this Tuesday, June 16th. Veterans hold expertise in many areas critical to a manufacturing sector that is looking for hard-working new talent. We need to respond by hiring more veterans!